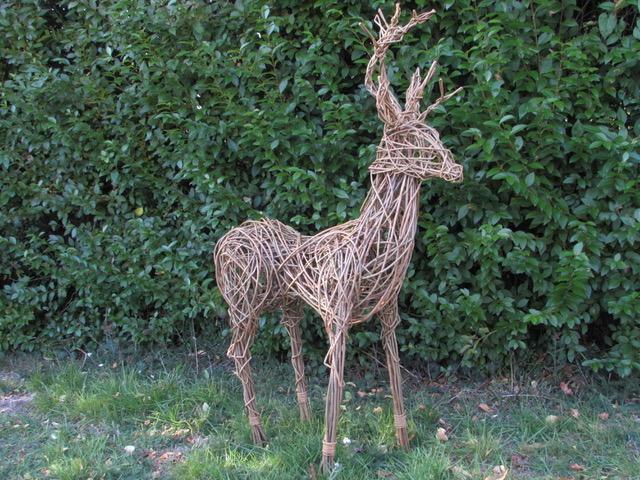 Well-known for creating life-sized animal sculptures, willow artist and tutor Jo combines her passion for craftsmanship with her love of sculpting natural forms using locally sourced Somerset willow. Jo will guide you through the process of creating your sculpture, weaving along with you, at this exciting and fun workshop. The workshop is suitable for beginners with no prior knowledge of weaving. All materials will be supplied, including locally sourced willow, but please feel free to bring along your favourite secateurs. It would also be advisable to wear old and comfortable clothing. 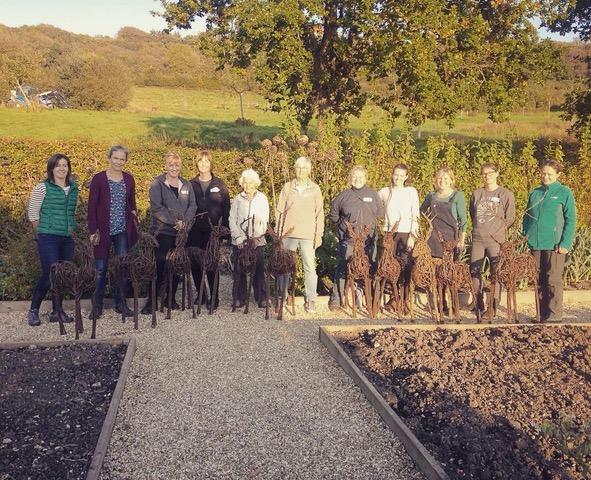 The willow deer making day was a great day. I came home with a lovely stag for the garden. The setting, tutoring, food and RC staff were all spot on. It allowed me to step out of my busy world to create something special. A day at RC HQ should be given on the NHS! To get the day underway, Jo will cover the basics of willow weaving and then guide you through the process, weaving along with you through the morning. You'll return to your weaving after lunch, finishing off your deer sculpture. Once you've finished you can stand back and survey the beauty of your work! At the end of the day you’ll be whisked back up the hill by our tractor and trailer (at 5.30pm), along with your beautiful willow structure ready to adorn your home or garden. Whilst we aim to make all our courses as accessible as possible, please note that willow weaving is a physical activity. It is your responsibility to assess your own physical health & suitability for a willow weaving course at the time of booking & on the date of your course. If you have any mobility, accessibility or physical health issues do please contact us prior to booking your place. Those booked on the April workshop will be taught by Devon-based willow artist, Sarah Le Breton. We would advise that this course is only really suitable for 16 years of age and upwards. We put these guidelines in place for the safety, comfort and enjoyment of all our guests. We put these guidelines in place for the safety, comfort and enjoyment of all our guests.